Mai Ruth was 5 when her father died and her mother and siblings fell into great poverty. 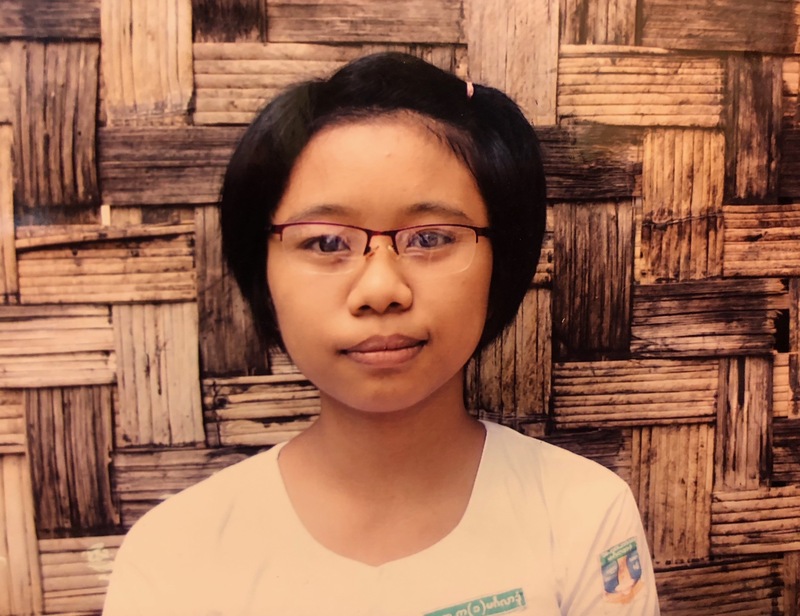 Mai Ruth longed to be able to attend school and get an education, but was not able to. Through a series of divine appointments, Mai Ruth came to live at the Yangon Orphanage where she thrived mentally, physically, and spiritually. One summer a few years later she went to visit her mother and siblings. Unfortunately, her mother would not let her return to the orphanage because she needed her to babysit all day. Mai Ruth was distraught and she and all of her orphanage friends and family prayed for her to be allowed to return. After 2 years, her mother allowed her to return! She is now a senior in 11th grade and an excellent student. She plans to attend university after she graduates (high school is only through 11th grade in Myanmar). Mai Ruth was sponsored for her first few years, but now is in need of a sponsor. Less than 1/2 of our children have sponsors.